Going beyond the brown sugar with this acorn squash side-dish that’s roasted to perfection with ghee, herbs and parmesan. 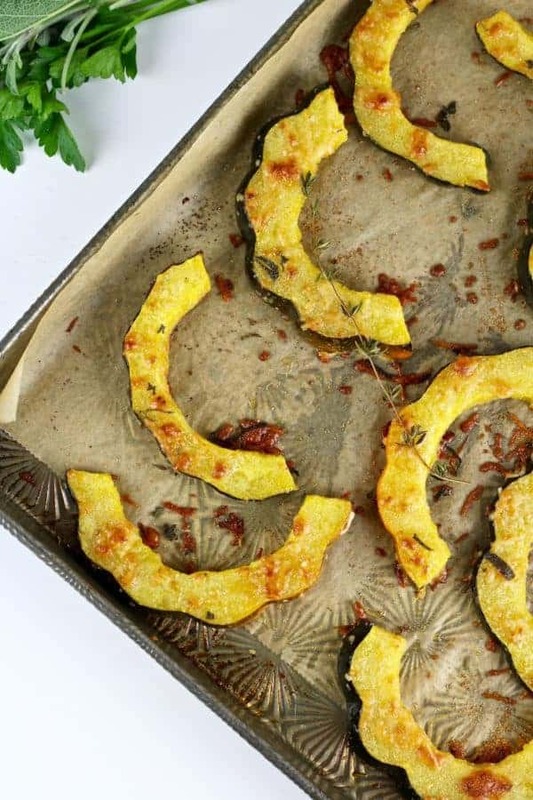 Herb-Roasted Parmesan Acorn Squash is a little sweet, a little savory and is made with just 5-ingredients. Last week was so incredible! Not only because this recipe was born, but because I spent 8 days in Boulder, Colorado with Jessica for a week long, very productive workcation. During those 8 days we stepped out from behind the lens and had our own photo shoot (we’re sprucing up the blog soon with updated photos and a new about us page), we created 8 new delicious recipes, we went to CrossFit, we hiked, and we had some amazing lunch meet-ups with David, the CEO of Zing Bars, David and Mieke, the founders of Fatworks, AND Juli Bauer, the blogger at PaleOMG. So.much.fun! When you love what you do, work doesn’t seem like work. I’m definitely looking forward to our next workcation when Jessica comes to Minnesota for a few day in November. PS: We’re attending the Pinch of Yum Photography workshop in Minneapolis to learn all of the secrets of food photography. Watch out folks, we’re stepping up our photography game! 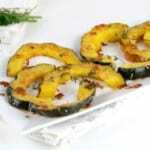 Okay, lets get back to the Herb-Roasted Parmesan Acorn Squash recipe! Winter squash is in season! We love winter squash and all of the different varieties. They very slightly in sweetness and taste and they all look a little different but you can usually substitute one for another in most recipes. Pure Indian Foods ghee adds a nice buttery flavor! 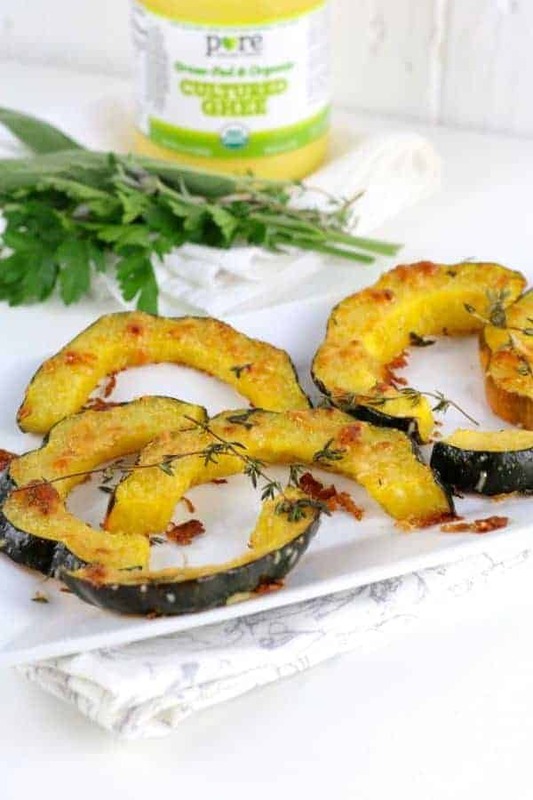 Then roasting the acorn squash and ghee with fresh herbs and parmesan is seriously a match made in heaven! A little sweet and a little salty. My favorite part of this dish is how the parmesan cheese turns nice and crispy. I’m tellin’ ya, when you take your first bite, you’ll understand why this is one of our most favorite Fall side-dishes. 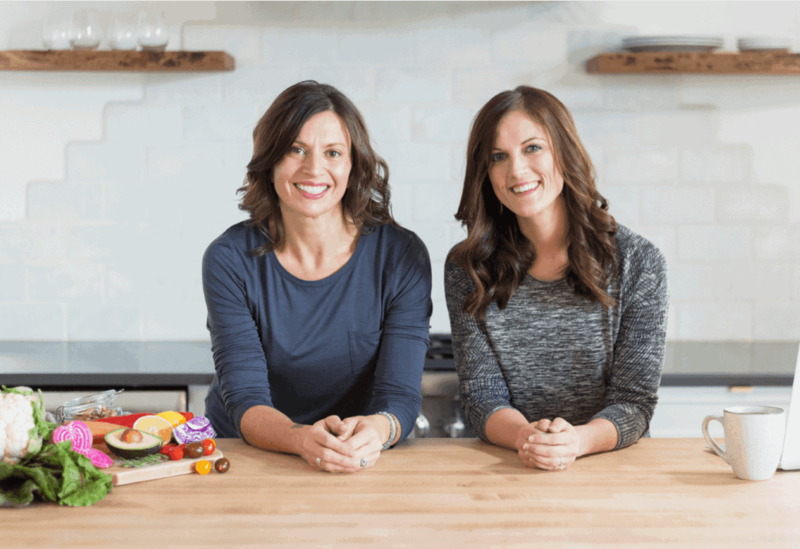 When Jess and I took our first bite to test the recipe, we literally looked at each other, said yummmmmm several times….and then high-fived! You guys, it’s so good! For all you squash ‘haters’, this recipe may just win you over. We’re just getting started with Winter Squash recipes. Stay tuned for more winter squash recipes…because we love squash. Squash is one of our most favorite sources of carbohydrates (I’m speaking for Jess too 😉 ). Winter squash is packed with fiber and vitamins, including an excellent source of vitamin A, significant amounts of vitamin C, vitamin E, vitamin B6, niacin, thiamin, pantothenic acid, and folate. For minerals, squash contains magnesium, potassium, manganese, copper, phosphorous, calcium, and iron. As you can see, it’s quite a nourishing food! 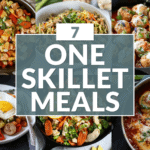 1 cup cooked contains 75 calories, 18 grams of carbs and 5 grams of fiber. Varieties of winter squash include – acorn, butternut, buttercup, carnival, delicata, hubbard, kabocha, spaghetti, and sweet pumpkin. For a visual guide click here. And here the winter squash recipes we shared last year (2015) on the blog: Butternut Squash and Apple Hash with Sausage, Grain-free Chocolate Chip Squash Blondies, and Spaghetti Squash with Garlic and Herbs. 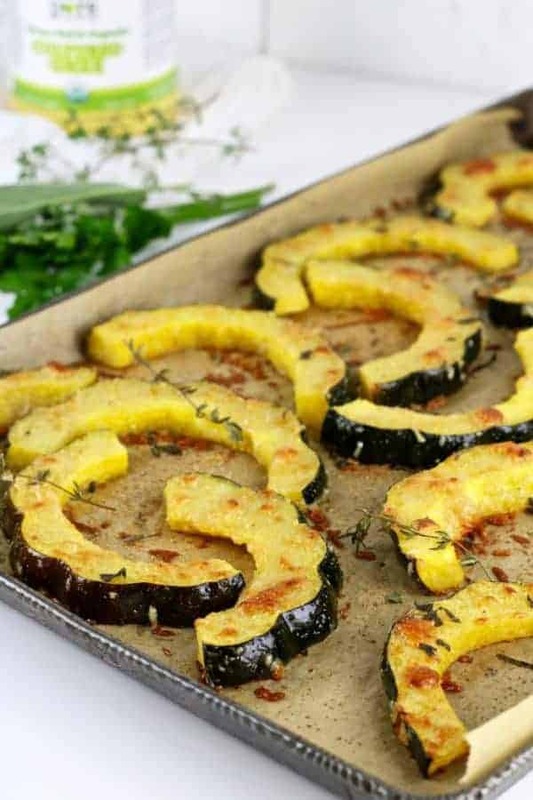 Add this Herb-Roasted Parmesan Acorn Squash side-dish to your next meal! 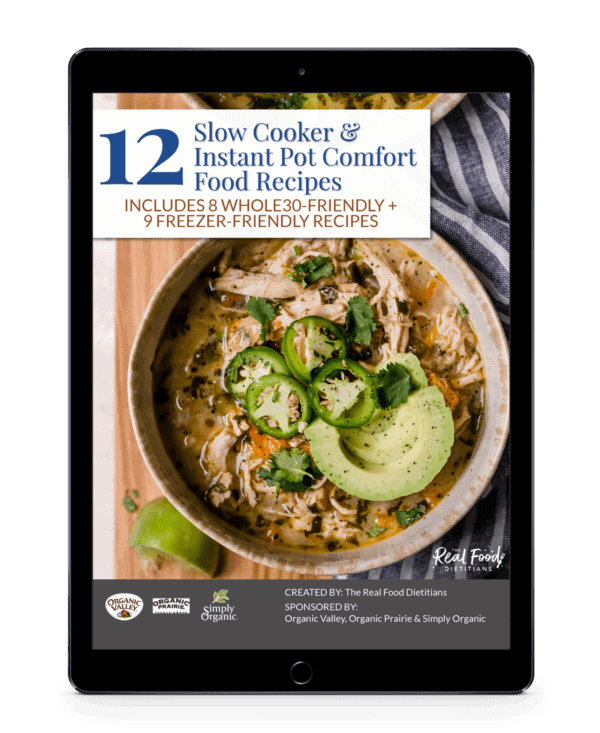 For a complete meal serve this side-dish with baked chicken thighs and roasted broccoli or choose your favorite quality protein and green veggie. Cut acorn squash in half and scoop out the seeds. Then slice each half into ½ inch slices. 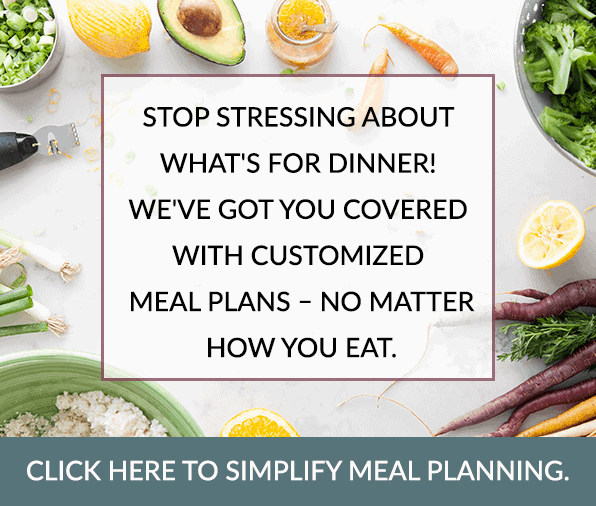 Transfer to a large sheet pan. 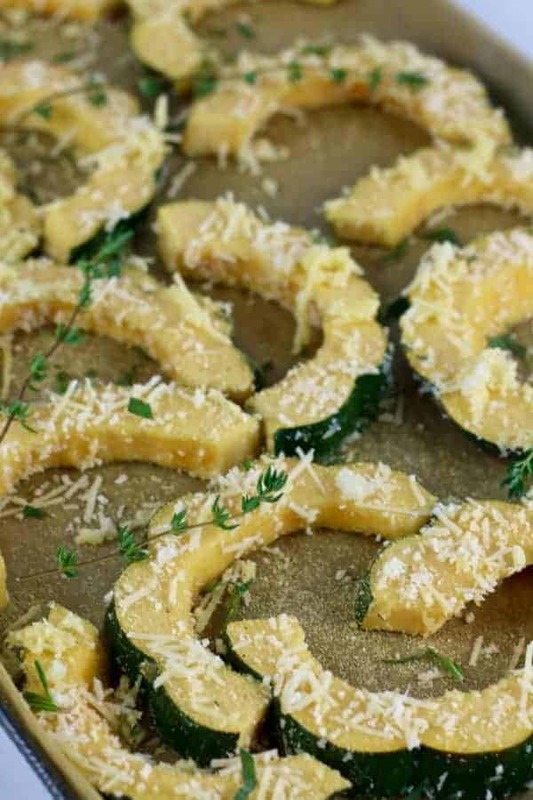 Bake in the oven for 25 minutes or until squash is cooked through and parmesan cheese is crispy and slightly brown. We want to hear – what’s you’re favorite variety of winter squash? Comment below. 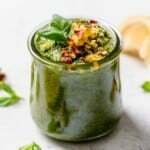 I have tons of Buttercup squash, could I use that for this Recipe? Perfect! Buttercup squash would work too! Really any kind of winter squash. Enjoy! This was absolutely amazing. I didn’t have any ghee, so I melted down some extra-virgin coconut oil. It was fantastic. This was my first time making acorn squash. 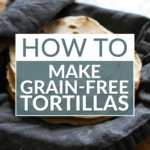 I was overwhelmed by all the butter and brown sugar recipes, so I was happy to find this. I will definitely make it again. Love this! Glad you enjoyed it and I totally agree about all those butter and brown sugar recipes. They’re good (and what I was raised on in the Midwest) but I really prefer this method. This recipe was AWESOME. My husband doesn’t even care for butternut squash very much and he loved it. I can’t wait to make it again. Thank you! Can you eat the rind of the squash when it is prepared this way? Yes, you can eat the skin. Acorn squash has a surprisingly thin skin that’s edible. I’ve never had acorn squash. Perfect, easy, and delisious! 25 minutes at 400 degrees is WAY too long! I put them in for 20 min and they were mush. Great idea, but I’d try more like 10 minutes. I do asparagus for 8 and they turn out perfectly. I don’t know why I didn’t question the 25 minutes! Popping it in the oven now! Hi from the Western Suburbs of the twin cities! 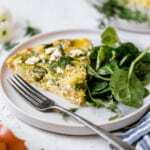 This is a great recipe, thank you! I used olive oil instead of the ghee and is was delicious, even my 2 year old loved it. I LOVE the flavors of fall and just about anything pumpkin and squash! Made this acorn squash recipe last night and it was SOOOOO GOOD! I’m glad my husband doesn’t like squash because I ate almost the whole thing! THANK YOU SO MUCH! It’s very difficult to cut the acorn squash in half and then into 1/2 inch slices. What are your suggestions? You can slice them thicker they’ll just take a little longer to cook. If you do want thin slices though, it’s easiest to cut the squash in half, remove the seeds, then cut into quarters. Quarters are easier to handle (and thus slice) than are the bigger halves. Other readers have shared that microwaving the whole squash for a few minutes (be sure to poke some holes in it with a fork first!) softens it up a bit to make it easier to slice. Hope that helps! Poorly written recipe. Combining all ingredients makes a pasty mess that cannot be tossed with the squash. The squash should have been brushed with the ghee and sprinkled with the combined dry ingredients. 400 degrees for 20 minutes or until done, it was done in 17 minutes. Yes the slices were 1/2 inch. Sorry this recipe didn’t turn out for you! I want to make this for Thanksgiving, what kind of parmesan cheese do you use? The powdered kind of do you use fresh shredded? And what combination of herbs would you suggest for Thanksgiving, maybe Thyme and sage together? The best parmesan to use for this recipe is the fresh kind that comes pre-shredded in a bag or tub. I think the flavors of thyme and sage would be excellent choices – rosemary, too. Enjoy! Yes, you can. When sliced thinly and not overcooked, the skin is quite tender. this recipe hits all the right notes! Instead of combining all in a bowl, I thought it would be better to brush with the ghee then mix the other ingredients and sprinkle on. This worked great for us. 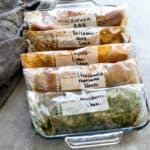 I’ll definitely use this recipe again! Hi Marcia! 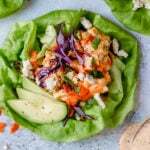 So great to hear you enjoyed this recipe and that it’s one you’ll make again! I have no ghee. What might be a suggested replacement? Butter or coconut oil would also work in this recipe. Made these tonight for a side with dinner. It was so yummy!!! Melted in your mouth. Thank you for this! Definitely will make again. Thanks, Susan! Great tip for those looking to cut a few fat grams, too.